So you’re looking for a logistical solution for your business? We can offer a bespoke service to suit your business. So you’ve got a series of deliveries of new furniture to be delivered to your client, or that valuable item that is simply irreplaceable and cannot be trusted with a typical parcel or courier services. You need a company that has quality trained guys experienced in handling and protecting that item as if it were their own, and delivering the best customer service. 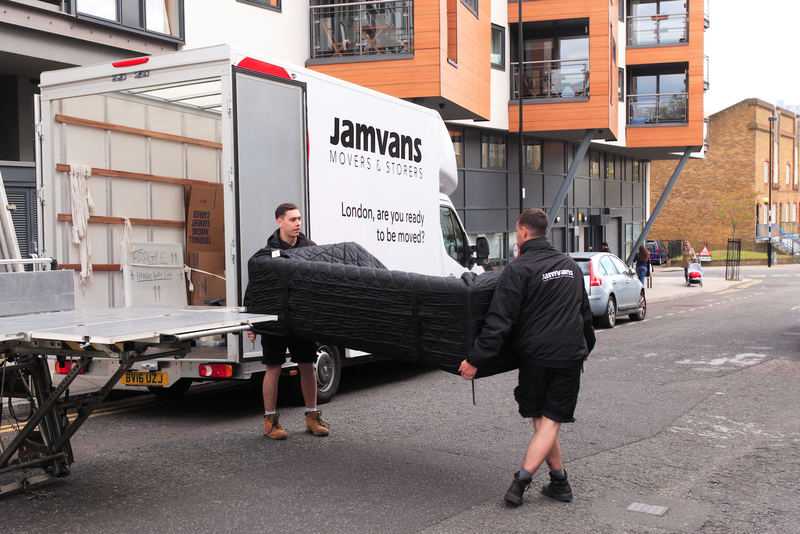 That’s where JamVans step in, we’ve grown from our grass roots, offering a quality removal service across London, and transferred these skills to offer a range of third party logistic services. From delivering lifesaving healthcare scanning equipment to retail deliveries of new furniture to multiple locations, we can do it all. We’d love to chat and see how we can create a bespoke logistical delivery service to suit you. Get in touch now. MIS Healthcare are an exclusive distributor for world leading medical manufacturers, supplying high end medical diagnostic equipment. Therefore, they required a delivery company that could deliver expensive, heavy machinery though the use of tail lifts, pump trucks and load restraint systems with the correct level of insurance cover in place. It is critical for MIS Healthcare to move their equipment carefully and on time with no exceptions. As MIS Healthcare offer maintenance contracts for the products they supply, it is often vital to get replacement parts to machines within hours. They chose JamVans as we have the number of vehicles and staff at our disposal that allow us to fulfil their needs. We provide MIS Healthcare with a radius pricing system, allowing them to budget efficiently and speed up the delivery time, as they do not need to wait for a quote. The Hospice of St Francis came to us due to shop expansion, therefore the demand for logistics was increasing. Hospice of St Francis required a more robust logistical solution, with lack of knowledge on transport regulations and guidance of how to streamline their deliveries and collections, JamVans became their third party logistics provider. We are responsible for collecting donations and re-distributing stock across the 10 charity shops. We also provide storage for seasonal stock and/or stock being rotated around the shops. We are their go to company for dealing with their distribution and logistics which leaves their staff to do what they do best. The Hospice also have a pre-owned furniture shop, with this we collect the donated furniture and delivery to their shop to then be restored and sold. We step in again to re-deliver the furniture to its new home. When we first started working with the Hospice of St Francis they required a two-man team every day of the week. We worked closely with their team over several months, with the implementation of roll cages, tail lifts and store alterations, we were able to reduce the cost dramatically through several efficiency saving measures which resulted in savings of over 60% to the Hospice of St Francis. 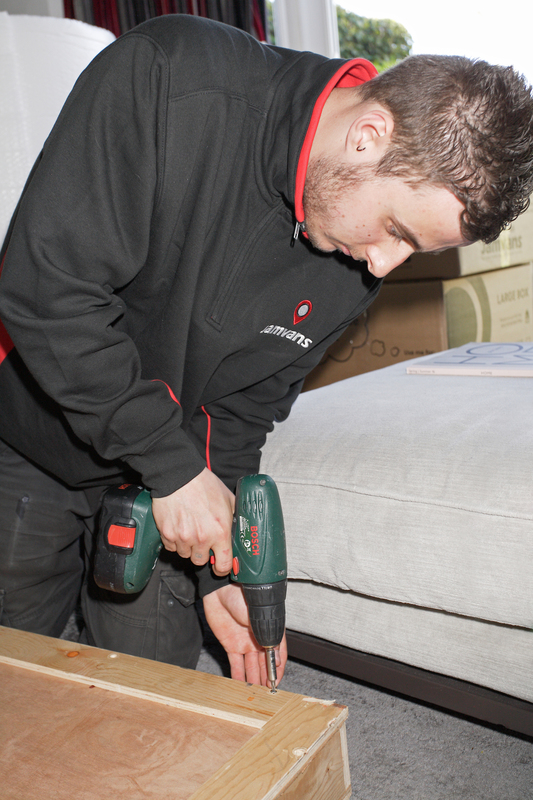 We have partnered with DFS to provide additional furniture delivery support during their busy times. DFS were looking for a business that had the skill set to handle large sofas with the resources to match. We provided DFS with a two Man and Van team and usually carry out 10 furniture deliveries per day across London. Upon arrival at their depot we load the van. Everything is loaded in a specific order in accordance with the route, making each furniture delivery more efficient. Once loaded, the guys at DFS hand over the paperwork and talk though any specific requirements with their London furniture deliveries and then we’ve got it from there. As requested by DFS, we deliver to the room of the client’s choice. The furniture is then un-wrapped by our team. We come fully equipped with tool boxes and drills to take down doors for those tight squeezes and build any furniture where required. Any packaging is taken away by our team, just leaving the client to inspect the delivery and sign to say they are happy. We also take payments on behalf of DFS where necessary.